First, I must say that this journey towards better health has been a wish of mine for years. In fact, from toddlerhood on up, I have been overweight and can remember in Junior High wishing I could lose weight. By my45th birthday, I found myself tipping the scales at 355 lbs. and even though I could tell I was still gaining, I refused to weigh myself after that. It was discouraging as I had tried diet after diet and had asked doctors for years to help and all I ever got from them was, “eat less, get more exercise”. Nothing seemed to work, but I remember thinking there has to be a solution. In my early 40’s I was given the diagnosis of high blood pressure and put on medication for it. Along with that I received a diagnosis of sleep apnea and began using a CPAP machine at night. Somewhere in that time frame, I started having really bad pain in my foot and the foot doctor informed me that I had a case of Plantar Fasciitis. Then at 46 years old, my Doctor told me that I had Type 2 Diabetes; with an A1C level of 9.8. With the Diabetes diagnosis, I ask about using diet and exercise to help or eliminate any of my problems and the Doctor said without any hesitation that I could not use diet and exercise to fix any of my problems and that I just needed to accept them as a part of my life and take my medication. I started doing some research and began experimenting with a low carb diet; not as restrictive as Adkins but still involved high animal protein and high fat. I did lose about 70 lbs. over the course of a year, but then stopped losing. I am only guessing at how much I lost, as I don’t really know how heavy I got; I assume I was at least 365 lbs. or more at my heaviest. After noticing some weight loss, I did get on the scale at 356 lbs. Even with the weight loss, all of my illnesses listed above were still problems and I really felt like I had done about all I could. After about two years, I had slowly gained some weight back. I was planning surgery to have the tendon in my foot surgically cut to relieve the pain and was beginning to think the Doctor was right when he told me that I could not cure my ailments with diet & exercise. 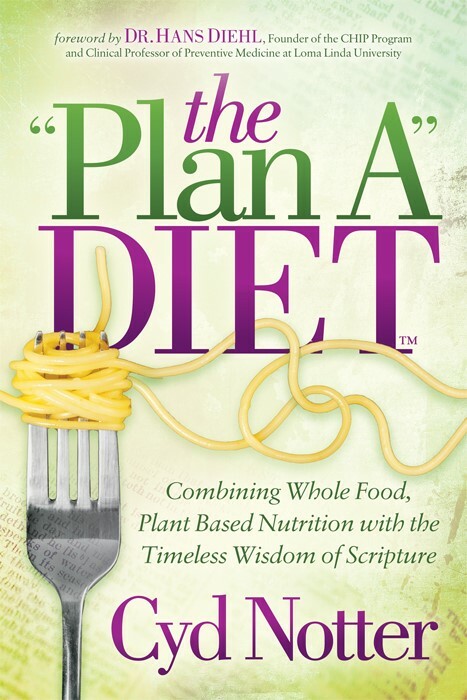 Then, around my 49th birthday, some friends told us that they had begun a plant-based lifestyle. They had us watch the “FORKS OVER KNIVES” documentary so we could understand their reason for making the switch. We were convinced but were not sure how to get started. These friends introduced us to others who were involved and took us to a workshop in April 2014 where we were able to learn even more. At that workshop, I decided that I needed to make the switch and to go all in. I really want to credit God for leading me to this PB lifestyle. He put friends in my life who led the way into a plant-based lifestyle, and they have encouraged, supported, and coached us as we began. I have also been very blessed to have family who have supported and participated in this transition into a new way of life.